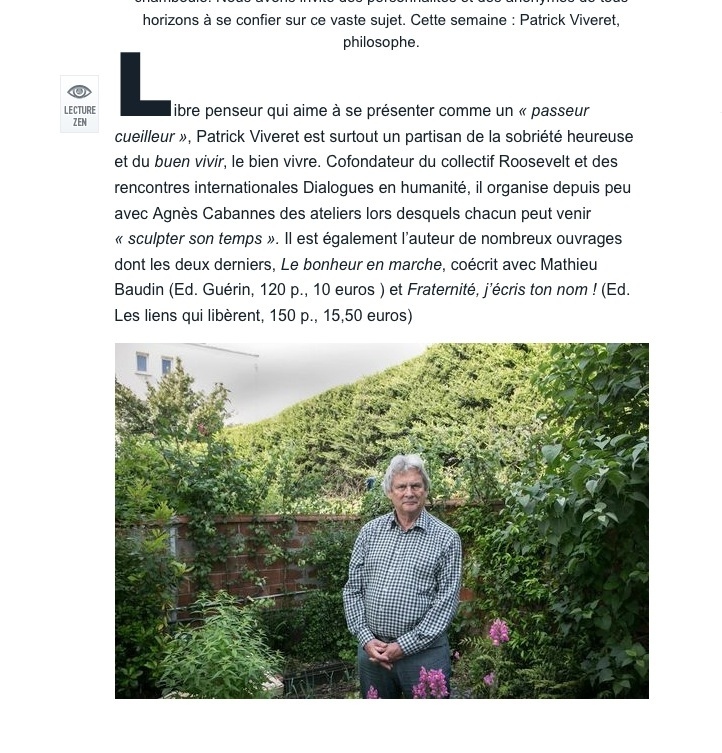 Patrick Viveret is a French philosopher that questions our contemporary life in consumerism, apropriation of time and ecology. The portraits I've done for M Magazine / Le Monde is now online with the interview. I suggest the reading. M. Viveret is presenting us the possibility of chosing how to live the time and how to pass it posivelly, with conscience.